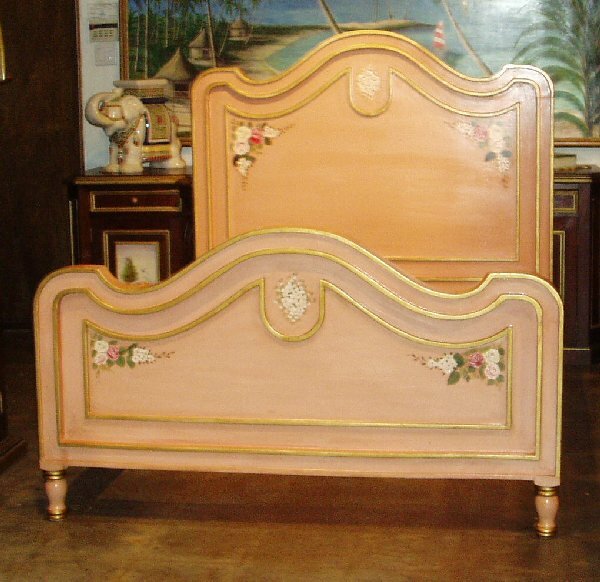 Custom hand painted beds, handpainted bedroom sets, hand painted French Beds, hand painted Italian beds. 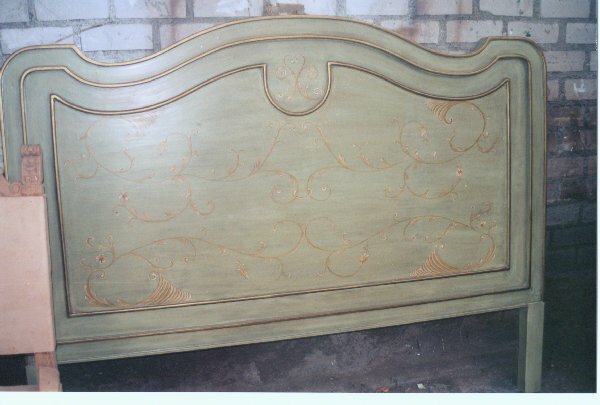 Hand Painted Furniture. 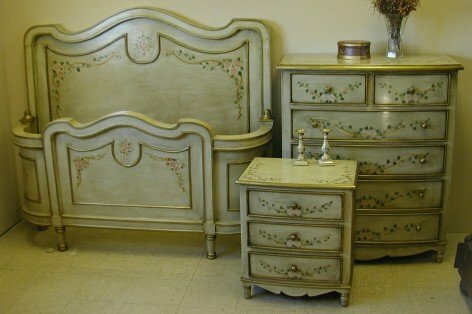 French Country cottage inspired design, French country estate, Italian Villa, hand painted collection, with patina or distressing typical of northern Italy's countryside, 18th century Venetian style painted furniture with handpainted embellishments. 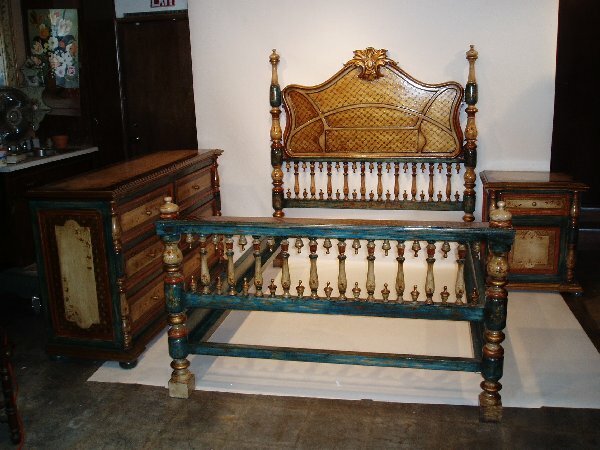 Versatile accent pieces with subtle effects. 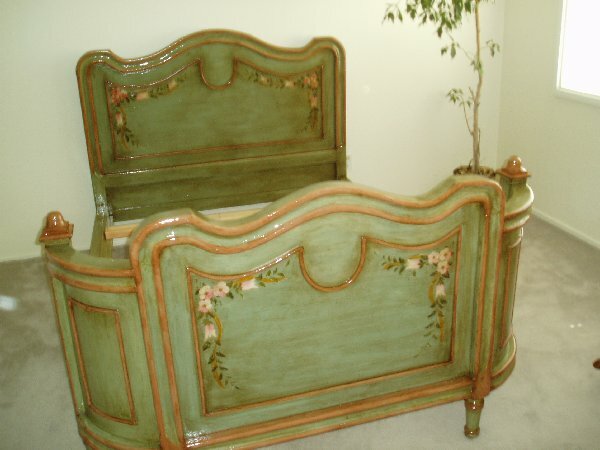 Many of our hand painted items are made to order. Tell us what you want! 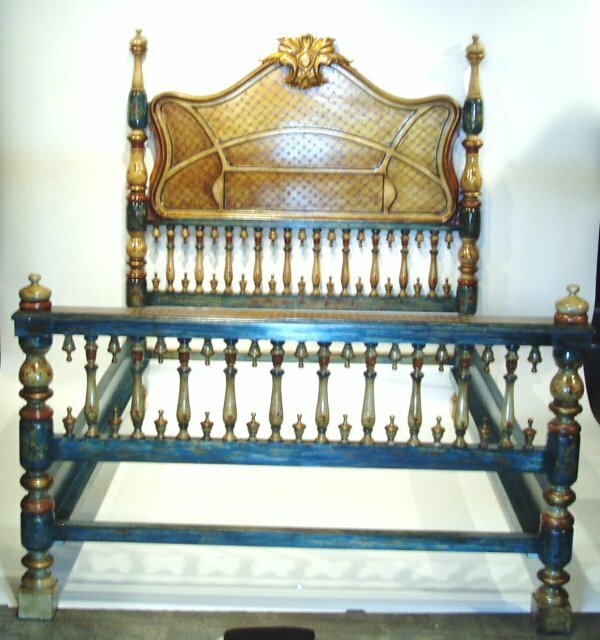 Please review the various categories and styles and feel free to call our store for additional information. 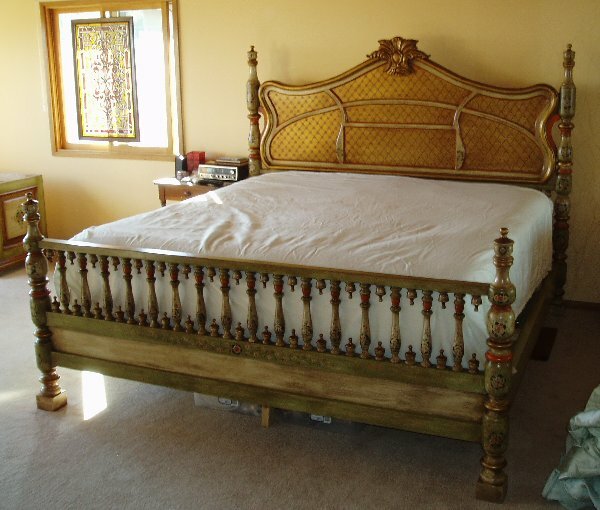 Click here for pricing and more info. 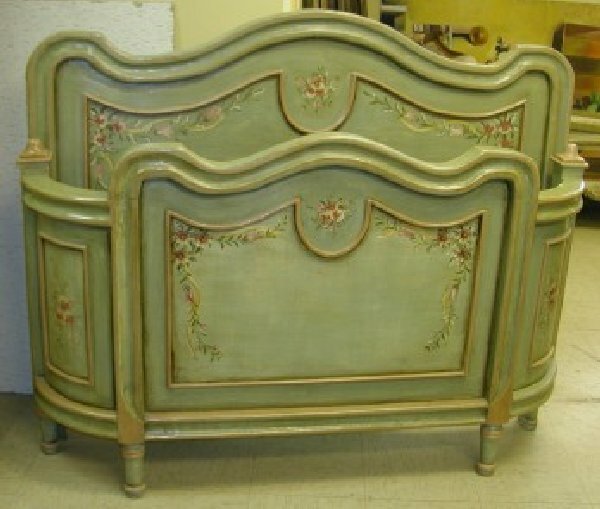 Hand Painted French Country Bed, French Green. 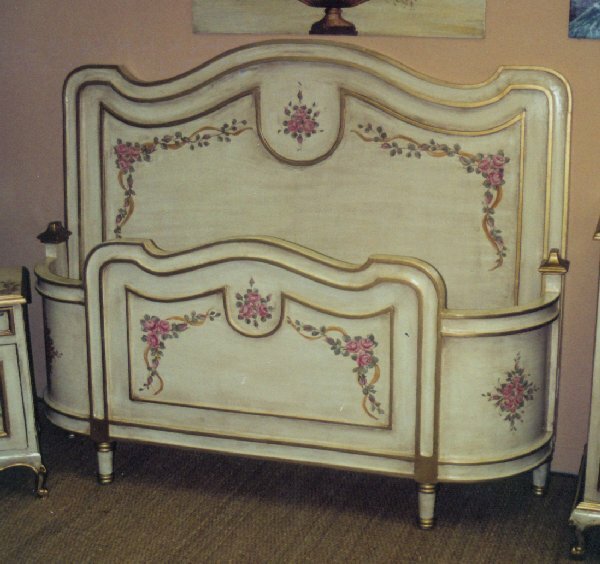 Hand Painted French Country Bed, French Pink. 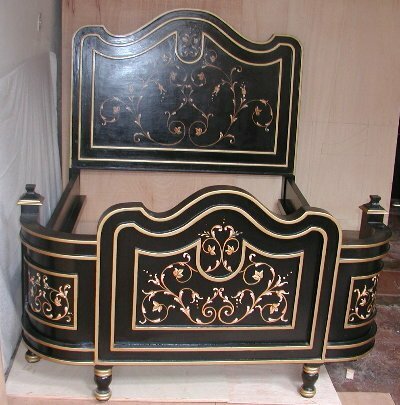 Hand Painted French Country Bed, Black with scrolls. 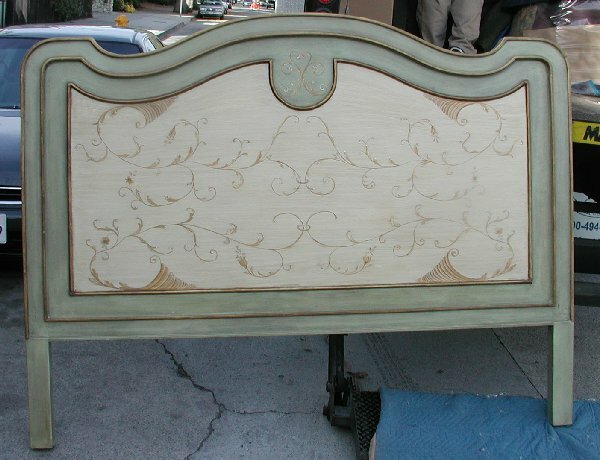 Hand Painted French Country Bed, Dove white. 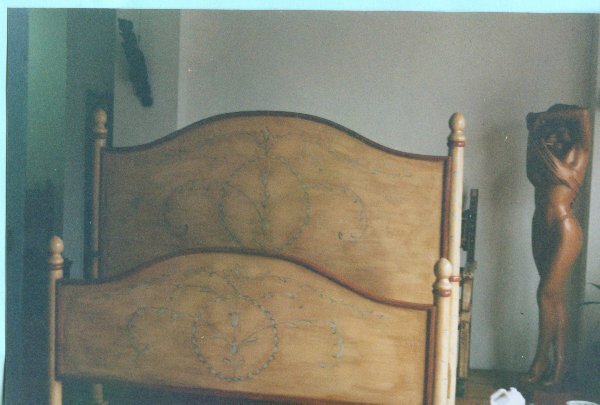 Hand Painted French Country Bed, French Scrolls. 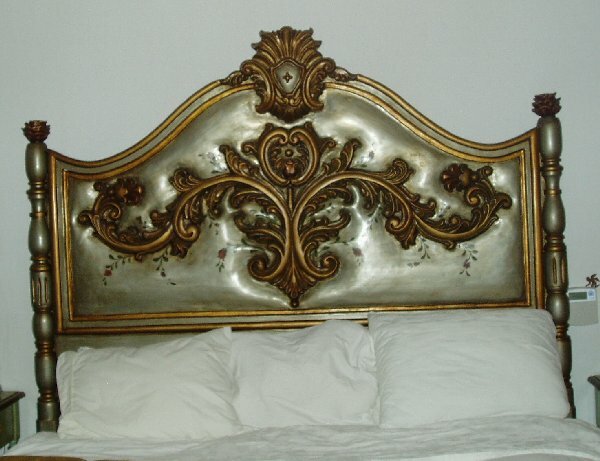 Olinda Romani's Tulip Bed design.